Following a DUI arrest in New Jersey, the municipal court often schedules the first court date very quickly. 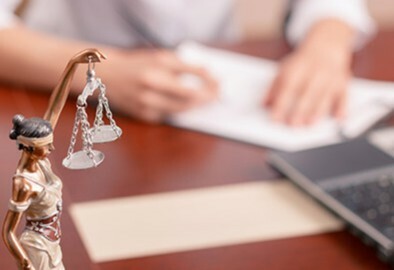 You may feel pressure to find and to retain a lawyer before that date; but you should take your time and search to find the right & the best lawyer to defend your case. Choosing the right lawyer is the MOST IMPORTANT thing you will do to protect your rights and defend yourself. Insights follow as to how to choose the best lawyer for your case from an insider’s point of view. If you do not have enough time to search for the best lawyer, then just go to court by yourself (without hiring a lawyer) on your first appearance date. The first appearance date is an “arraignment date” (a formality), where the judge explains your legal rights, etc. You can appear for this by yourself. It is not scary. You will plead “Not Guilty” and then leave. Watch and learn while waiting in court. Notice how many defendants with lawyers are pleading “Guilty” without fighting at all. Based on my observation, about 90% of lawyers plead their clients “Guilty” in court. You can find out that reality yourself. This fact tells you how very, very few lawyers are willing/able to fight a DUI charge in New Jersey. 2. Has the Attorney Ever Won Through To “Not Guilty of a DUI”? Ask the attorney if he or she ever won “Not Guilty of a DUI” for a client. This is a very essential and to-the-point question to ask before you retain a lawyer. The best outcome, “Not guilty of a DWI”, can consistently be achieved only by a very few top-level attorneys with the passion to stand up for clients. The lawyer must command in-depth legal and scientific knowledge of breath testing devices. Do online research, and use your network to search for an attorney whose clients were actually found “Not Guilty of a DUI”. You will realize how rare it is to find such a lawyer. If the attorney is already talking about pleading you guilty during consultation, or, after a few court appearances wants you to plead out and give up, you know that he will not fight for you to the fullest, and cannot achieve “Not Guilty of a DWI”. A smart way to search for a top physician or surgeon is to look for a doctor whose patients include other doctors and their families. The same logic applies to searching for a lawyer. Other lawyers regularly call me to consult, and I represent lawyers charged with DWI. I have achieved results of “Not Guilty on DWI” or sentencing reduction for those lawyers I represented.